This is a blog about literature, from literature, and for the literature enthusiasts of all ages. 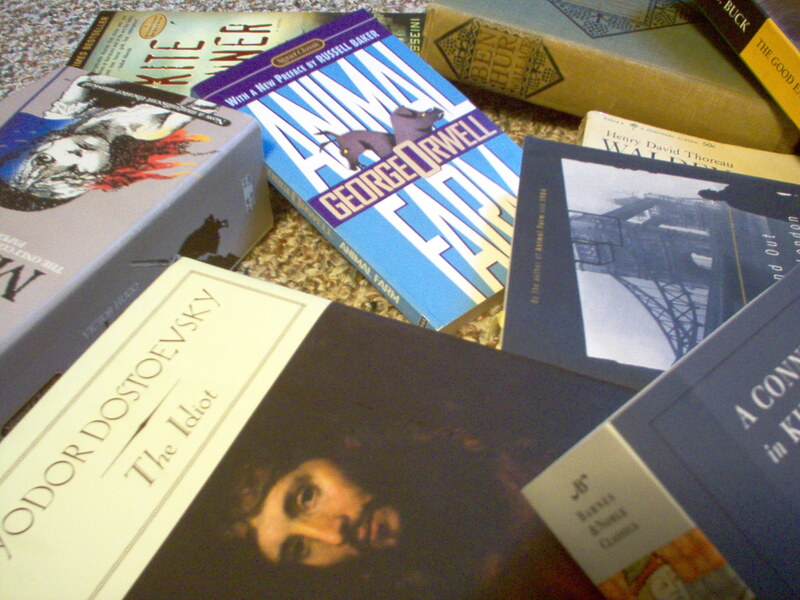 Literature has a profound impact on society, whether we know it or not. Literary characters become symbols for political figures, and literary scenarios can be read as metaphors for politics and government. Children are taught what is normal by fairy tales, and epistemology and metaphysics are debated through fantasy novels. Some who study literature see it as an arbitrary, largely aesthetic subject, rather than one that affirms, challenges, and contributes to society and culture on a day-to-day basis. In a sometimes-humorous, sometimes-serious way, this blog is about bringing our focus back to the reasons we ought to study literature in the first place. All material this site, copyright © 2009 Jennifer Greenholt. Please contact the author for permission before reproducing posts or other text. Also see note on plagiarism. Thanks for your suggestion and your interest in my blog. I have enjoyed reading Rand’s work in the past and may return to it at some point. (Also see my comments on the post in question.) All the best to you as well. Is the site’s official name “Literati World” or “Literati in the World”? The top of the page seems to give two different versions. As I have you in both of my blogrolls, I want to make sure I’ve got it right!